Marine Le Pen is spoiling for a fight. The leader of France’s Front National vows to smash the existing order of Europe and force the break-up of monetary union, if she wins the next election. From one ragged country to another. We are on a tour of Europe’s unraveling economies. Ireland…Spain…and now France. Spain was in the news again yesterday. Its borrowing rate rose to 7.5%…a level that everyone says in “unsustainable.” We haven’t done the math ourselves, but we will take their word for it. Policy makers in Madrid were rattled. Naturally, they took no responsibility for the mess. Instead, they blamed…short sellers! Yes, and banned short selling for 3 months. That ought to do it, right? Everybody knows markets go down because people sell. So make selling illegal. Problem solved! Now our travels have brought us back to France. At the heart of Europe…and at the heart of the alliance with Germany and the whole European Union project, if France can’t keep itself together…the whole EU is doomed. 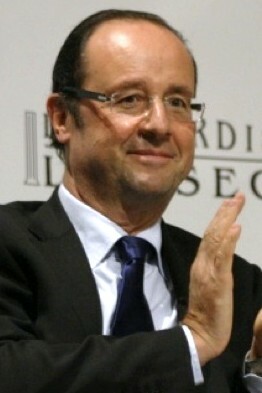 And yet, France seems to be hanging by a thread too…while Francois Hollande reaches for a pair of scissors! The debt levels which the country has are as unsustainable as Britain’s, yet its policies are more irresponsible and its remedies more restricted. Although it is considered a core country in the eurozone, France’s economic profile now bears more resemblance to Greece’s [than] Germany’s. Eric Dor’s team at the IESEG School of Management in Lille has put together a table on the direct costs to Germany and France if Greece is pushed out of the euro. These assume that relations between Europe and Greece break down in acrimony, with a full-fledged “stuff-you” default on euro liabilities. 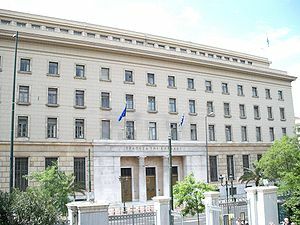 It assumes a drachma devaluation of 50pc. The total losses could reach €66.4bn for France and €89.8bn for Germany. These are upper bounds, but even in the case of a partial default, the losses would be huge. Assuming that the new national currency would depreciate by 50 per cent against the euro, which is realistic, the losses for French banks would reach €19.8bn. They would reach €4.5bn for German banks. As well as France’s rejection of the ozy in Merkozy last night, German Chancellor Angela Merkel’s centre-right coalition lost power in the state of Schleswig-Holstein…and Irish FiskalPakt rejectors are now 13/8 on favourites at Paddy Power. But having a French President demanding growth, an ECB boss saying we need growth, and a Greek electorate saying ‘no more cuts’ still isn’t bringing home to the more zealous europhiles that the euro crisis has (a) demonstrated a dangerous failure of the currency, and (b) consists of far more than lazy Meds who borrowed too much and now can’t be arsed to pay the loans back. French and Greek citizens reject the mouthpieces for AUSTERITY..The Irish Government should take note, the same faith awaits them! Irish citizens should now reject the German inspired latest round of impending austerity concealed within this so called fiscal stability treaty. The current shower of collaborators in the Irish government will not be happy with the results in France and Greece .The Peoples of Europe are now getting up off their knees and the sell-out politicians and mouthpieces for German austerity are been kicked out of their plush offices. Now that France has also rejected the Austerity madness ,Ireland should now reject this failed and divisive policy that has been touted as the only way forward for Europe ! .We need investment in our unemployed, re-education , up-skilling and a massive stimulus packet on par to the Marshall plan after the second world war for Europe! 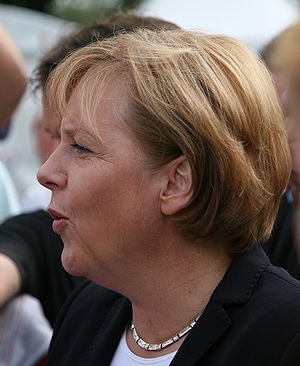 Merkel has created a wave of anti German feeling through Europe and her own party has suffered a major loss in the regional elections this weekend .The German citizens are beginning to realize that dictating austerity measures on to the smaller states within the EU is not a great way to keep friends or customers happy! The German economy is contracting and Austerity will soon have to visit Germany itself .Merkel has been a disaster for Europe and the Euro! Merkel is the mouthpiece for the bondholders and moneymen and she is now going to have to face the new reality in Europe. Forcing other people to pay the gambling debts of the major German banks is only going to backfire, people will only take so much and she should know this coming from East Germany. We in Ireland must also step up and take deceive action against this austerity madness, Our political system is totally corrupt and the media is under the control of the gangsters in power .We must send them and their masters in Berlin a strong message!“NO way we will not pay” we will not comply with their demands, these bank debts are not ours and we will not hand you the whip (“A YES VOTE”) that in turn will be use on us. Citizens of Ireland follow the Greeks and the French say no to more Austerity. Make a stand. Vote NO and join the real Europeans for a more inclusive Europe for all. PARIS (Reuters) – A victorious Francois Hollande faces a short honeymoon after his election as France’s first left-wing president in 17 years, with financial markets eager for clear signals on his policies and how hard he plans to push back against German-led austerity. The moderate Socialist beat conservative Nicolas Sarkozy with 51.7 percent of Sunday’s runoff vote after a bruising campaign dominated by the same anger over economic crisis that has felled 10 other European leaders since late 2009.